Freelance Feb17: Support colleagues who are EU nationals in times of Brexit! Write to your M(E)P now, lobby Parliament, etc. Support EU nationals in times of Brexit! NUJ MEMBERS who are nationals of another EU member state face uncertainty about their continued residency status in the UK as Brexit looms. This affects many EU national members within London Freelance Branch in particular. The Branch requests that those affected make contact (in confidence) via the Freelance . If your continuing status in the UK is already assured, then your "other EU" colleagues need you to show support. EU nationals in the UK are now seeking to gain Permanent Residence (PR), a recently introduced requirement as a first step towards naturalisation as a British citizen. Applicants have been told they need to gain evidence of their presence in the UK since their arrival, and of any trips out of the UK, to support their application form of over 80 pages. While those who've been self-employed since their arrival keep better track of their receipts and bills than most, EU nationals can't be expected to have kept everything. All they've needed to keep track of from their arrival up to now was their EU passport or identity card. There have been several cases of applicants for Permanent Residence and citizenship (from inside and outside the EU) receiving letters telling them to prepare to leave the UK. Most of these turn out to be standard letters sent "in error," with the Home Office's decision quickly reversed. The Home Office would seem to be using this discrepancy between models of healthcare provision as an excuse to deny EU nationals their rights post-Brexit. Note that at no point were they warned of any requirement - dreamt up after most had already settled here - to get private health insurance in the UK. The EU had begun infringement proceedings over the UK's treatment of unemployed EU nationals without health insurance, but this was dropped after the Brexit vote. Now the European Parliament's Sophie in 't Veld has called for a UK representative to appear before the Parliament's civil liberties committee once Article 50 has been triggered, to account for cases of unfair treatment of EU nationals. Closer to home, the House of Commons debate on triggering Article 50 to leave the European Union opened with a call from Labour Shadow Brexit Secretary Keith Starmer for the Government to unilaterally guarantee the status of EU nationals in the UK after Brexit. A rumoured Tory backbench revolt over the issue seems not to have materialised. The Guardian reported representations on EU nationals' future status to Government by unnamed employers' organisations. On Monday 20 February there is a mass lobby of Parliament over the rights of EU nationals, organised by EU nationals' advocacy groups The 3 Millions and New Europeans as well as UNISON. (In a mass lobby you let your MP know you came in person to the Palace of Westminster to seek them out in person to discuss with them a concern. There's usually some sort of rally outside or in a Committee Room. The point when it gets big enough for Parliamentary security to close the doors on further arrivals is when politicians may start to panic.) It's from 2:30-6:30 and they'd like you to register. Details are here here. We hope to have an update shortly on what's happening to the many NUJ members who are UK nationals resident in what will remain of the EU. (There's already a guide to life after Brexit in Belgium, from NUJ Brussels Branch: see here). We will also have more detail on possible naturalisation as a UK citizen. 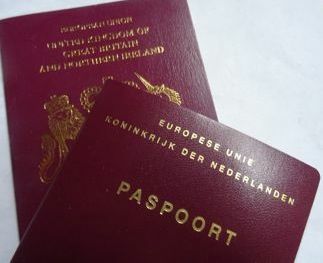 A few EU member states do not allow dual nationality, so some EU nationals face losing theirs if they choose to remain in the UK. There are also some nationalities you can't give up. There's also the TUC's guide to your rights on working in the UK, in 21 languages. At the February London Freelance Branch meeting Committee members reported discussions on this with the Trades Union Congress (TUC). The TUC's representation at the Stand Up To Racism rally on 18 March will strongly emphasise all the issues about employment of migrant workers, from EU member states or otherwise.